It's 1967, the summer of love, and in swinging Melbourne Detective Sergeant Charlie Berlin has been hauled out of exile in the Fraud Squad to investigate the disappearance of a teenage girl, the daughter of a powerful and politically connected property developer. 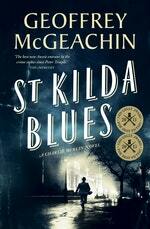 Love St Kilda Blues? Subscribe to Read More to find out about similar books.